We believe that one of the things that sets our firm apart, is our pleasure and willingness to help our clients, not just with legal and property issues, but with any query or problem which might crop up. For example, we are happy to help with queries about buying a car, questions about income tax, inheritance tax, or opening a bank account, or making a Spanish will – or even which restaurants have the best reputations..! So, our particular approach is to provide a caring, personal and friendly service. We want our clients to enjoy their experience with us, and to know that they can ask us about any questions they may have, at any time. In our experience, this approach to doing business is better for all of us. Do you need legal advice ? Obtaining an NIE number (identity number for foreigners). Opening a bank account and dealing with Spanish banks. How to negotiate and agree purchase prices, sales contracts, and payment instalments. Power of attorney, where appropriate. Purchasing a vehicle, vehicle registration, and MOT’s. Personal taxation for residents and non-residents including income tax; capital gains tax; inheritance tax. Tax payable on rental income. We provide clients with the advice they will need regarding Spanish and English inheritance law, and we will arrange and prepare appropriate Spanish wills so that they act in conjunction with clients’ English wills. In the sad event of a death, we will supervise the probate process to ensure the proper transmission of the Spanish estate to successors. How to form a new company. How to purchase an existing business company. Renting and/or buying business premises. Garriga Pradas Lawyers Firm is responsible for providing legal advice, promotion, marketing and negotiation to the "SECURITAS GIRONA JUDO TEAM" in order to secure partners and sponsors for them. This team is the only Catalan Judo club in the Spanish first division national Judo league. 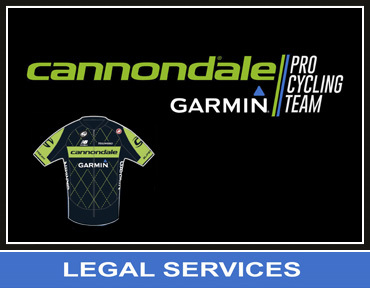 Garriga Pradas Lawyers Firm has had an exclusive contract to provide comprehensive support the “CANONDALE GARMIN CYCLING TEAM”, since 2008. 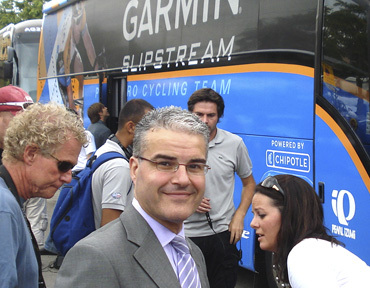 This support for the team provides daily legal advice covering the supervision and control of all internal and external activities, their logistics centre, all vehicles, support staff and riders. Garriga Pradas Lawyers Firm provides a service offering help, advice and support to World Class sportsmen in organising their professional and family affairs, including residency and property arrangements. Our practise specialises in providing a comprehensive legal service to both private and commercial clients who require advice and help in all aspects of property law in Spain.